Following good news from Hydraforce, a press release about their latest investment has been forwarded by managing director, Kirsty Davies-Chinnock of Professional Polishing Services Ltd in Smethwick. As the first UK free-issue polishing company to process wide sheet and plate via a 2000mm wide dull and satin polishing line, they are expanding this department with the purchase of a new double-headed line from Costa Levigatrici SpA in Italy, which will arrive and be commissioned during December 2015. The new line will polish plates up to 2000mm wide and 20mm thick, with a maximum piece weight of 2 tonne. The investment itself is the largest ever made by Professional Polishing Services in its thirty two year history. This additional capital expansion builds on an ethos of dedicated growth and re-investment to secure success for the future. 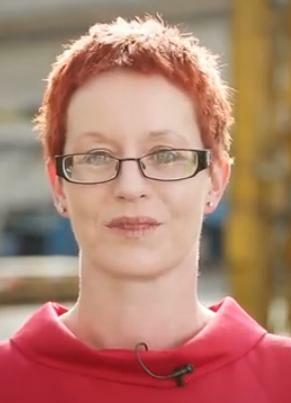 A web search revealed that Kirsty has also been named as executive ambassador for TAG Network Midlands. TAG is a networking association that celebrates and supports trainees, apprentices, interns and graduate level professionals across all industry sectors. This entry was posted on Monday, August 24th, 2015 at 4:20 pm and is filed under Apprenticeships, Design, Engineering, Finishers, Metal working. You can follow any responses to this entry through the RSS 2.0 feed. You can leave a response, or trackback from your own site.